Vi lascio alle foto realizzate durante l’evento, in compagnia delle bloggers Sara Lecci, Giulia Corona e Valentina Salviati! On Thursday 17th September the Double Agent store in Via Del Corso, Rome, turned one year and for this occasion the shop had a special party to celebrate the event. Along with the many (and amazing!) items of the new collection, the store celebrated in perfect Double Agent style, with a make-up artist, a candy bar and a fantastic final cake. These are the pictures taken during the event, with the bloggers Sara Lecci, Giulia Corona and Valentina Salviati! 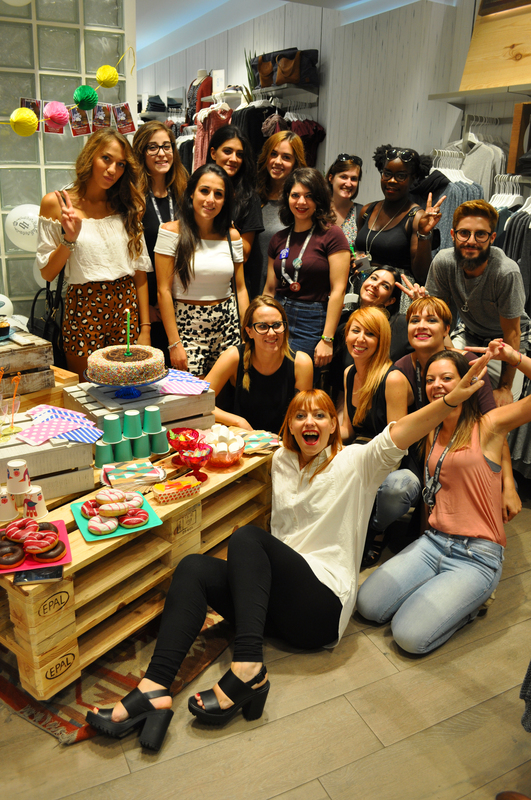 Una risposta a "Double Agent Birthday Party Via Del Corso"
Hope yo enjoy the party! Lovely pics!